Heather Moore and her Skinny LaMinx brand is no stranger to most folk in the décor world. In fact, it was all of three years ago that we coincidentally came across Skinny LaMinx on the internet. For the past 12 – 18 months, I have followed her on the internet via her blog, Facebook, Twitter and the like. You guessed it, I am a huge fan of Skinny LaMinx and when the invite came to attend her first ‘range’ of fabrics, there was none more thrilled than me. I have such admiration for Heather not only as a design creative, but also as a business person. I have watched how she has grown her business, both locally and internationally. 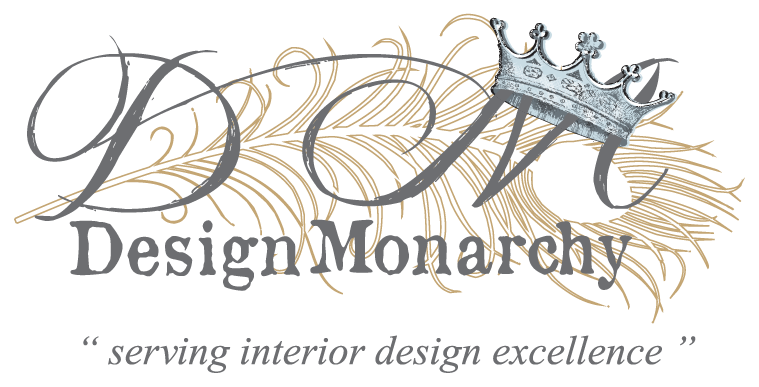 She has been featured by well known international bloggers such as Kate of Design*Sponge and Holly of Decor8. I am sure there are plenty others, but these I know of as I follow their blogs. Heather’s blog posts are such relaxed reads giving you a glimpse into her life. I am often left with the impression that illustration just comes so naturally to her. Putting fabric /surface designs out there seems to be effortless – such a talented person she is. To show you how active she is… in 2011 she undertook a trip to the USA, where she participated in collaborative events with a American creative; she has an Etsy shop, she has just recently opened her own retail outlet here in Cape Town, she comes up with new designs… Yes very active creative / business person. Plus, although I have only spent a few minutes with her physically, the internet interaction that I have had with her leaves me in no doubt that she is a lovely person. Heather – thank you for making us Proudly South African. 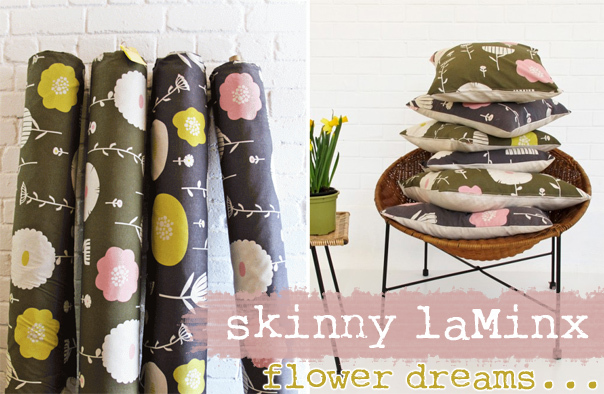 The floral-inspired range entitled ‘Flower Dreams‘ is Skinny’s first official fabric collection. The playful yet elegant designs, reminiscent of clean-cut Scandinavian design, also contains a smack of retro. The Space for Life showroom was therefore an excellent launch venue as they import gorgeous and well-made mid-century furniture and other retro treasures from Scandinavia. One or two vintage furniture pieces were upholstered in some of Skinny’s new range – a beautiful and complementary combination. Heather, with a little help from The Silk & Cotton Company, also illustrated how easy it is to develop and change certain moods by mixing and layering Skinny laMinx fabrics with some Silk & Cotton basics. The new range features a gorgeous almost-edible spring palette of plum, lemon and humbug including a delicious feminine milkshake pink – a colour Heather said she never identified with before now. 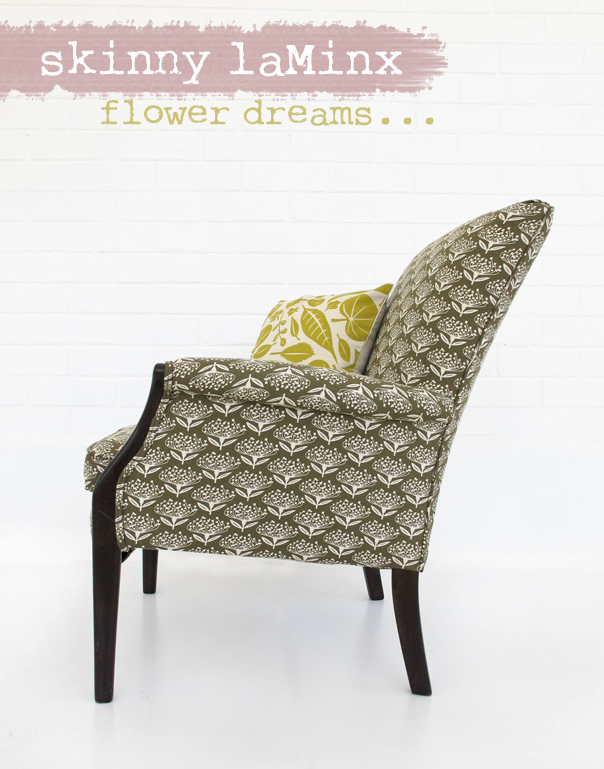 The Flower Dreams fabric collection is made up of three new designs and a reissue of her popular Orla print. 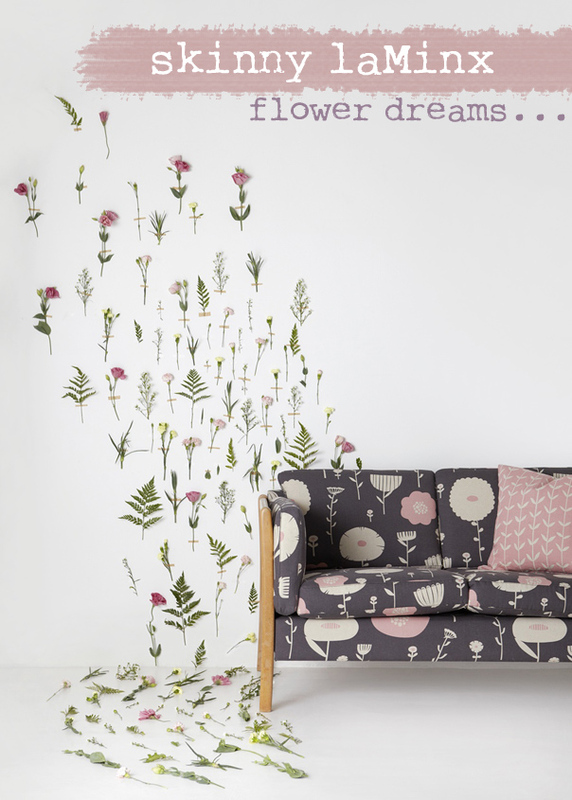 The striking ‘Flower Fields’ design started as a paper cutout of a flower inspired by a Dutch vintage fabric. 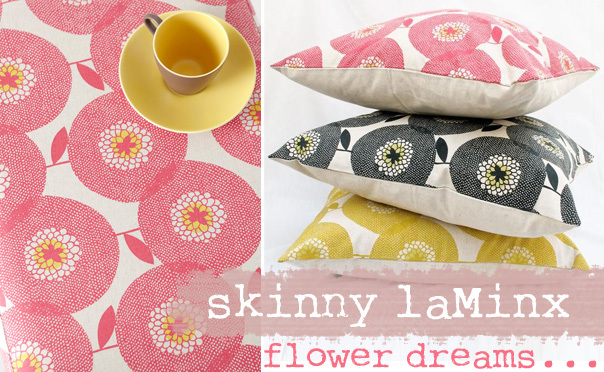 This fun design is the first two-colour print to be produced by Skinny laMinx, and is available in three colourways. There is almost something anime-like about this beautiful funky fabric. ‘Wild Flowers’ is a design that is a little bit mad, very playful, and certainly a strong design around which to build a look. The design started out as a custom wallpaper for her studio bathroom but Heather soon realised that it had great fabric pattern potential. Although it is a two-colour print, it reads as three colours, as the base cloth is used as one of the ‘colours’. The third design called ‘Pincushion’, features a very Proudly South African pincushion protea. The sweet print makes a great South African-flavoured print coordinate for this collection. Lastly, Heather rehashed the Orla print – a design she affectionately describes as “a bit of a fancy stripe.” For the new range the Orla design was converted into an inverted print aptly named ‘Solid Orla‘ – available of course in the new spring colour range. To see all the designs in the new range as well as the existing Skinny laMinx fabrics and product, check out the website: here. 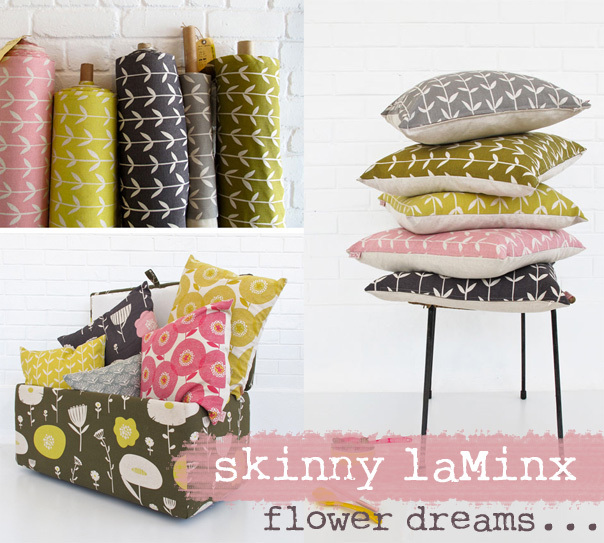 If you are in the Cape Town area, you can pop into the Skinny laMinx shop in Bree Street (nr 201) or otherwise purchase her GORGEOUS product and fabrics online via Etsy: here. Thanks for introducing me to this beautiful line of fabrics and a new addition to my Etsy shop favorites! Hi – I am so glad that you could benefit from this article. I guess that this the beauty of being online – we get to experience the happenings near and far. Don’t you think that the big floral pattern has that Marimekko feel about it? But somewhat different in that the colours are a bit more subdued and the pattern not as big! When I was at the launch, that was a thought that struck me. I wasn’t aware of this designer but thanks to The Design Tabloid, now I am. Great article. Best, Home and Hearth Magazine Online.